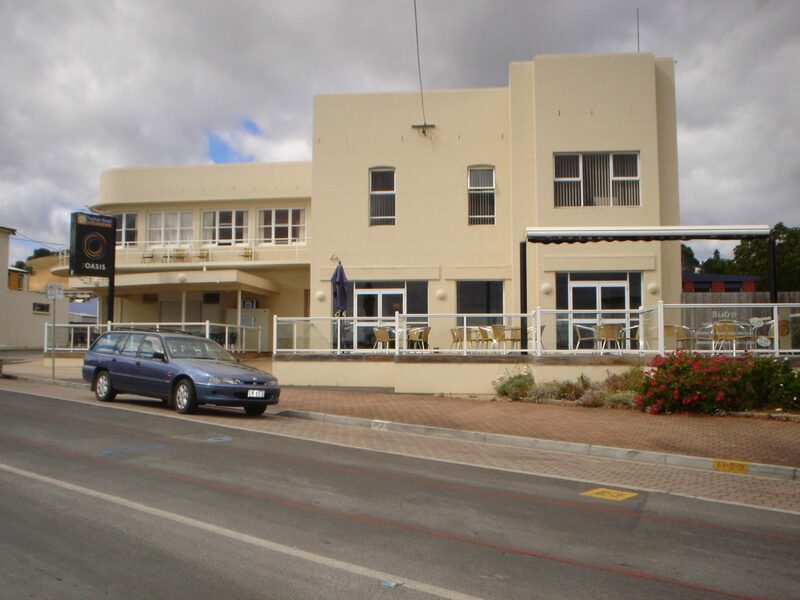 The Neptune Grand Hotel, also known as the Happy Backpackers Penguin, offers clean, comfortable budget accommodation at Penguin on Tasmania’s North West Coast. The hotel is in the centre of town, across the street from the beach. 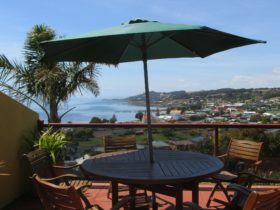 You’ll appreciate the friendly service and hearty quality bistro meals at this comfortable hotel. 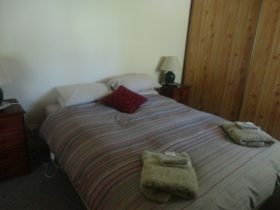 All rooms have new comfy beds, sheet, pillowcase and doona supplied, heating in rooms and common areas. There is access to a full shared kitchen and lounge and shared bathroom. 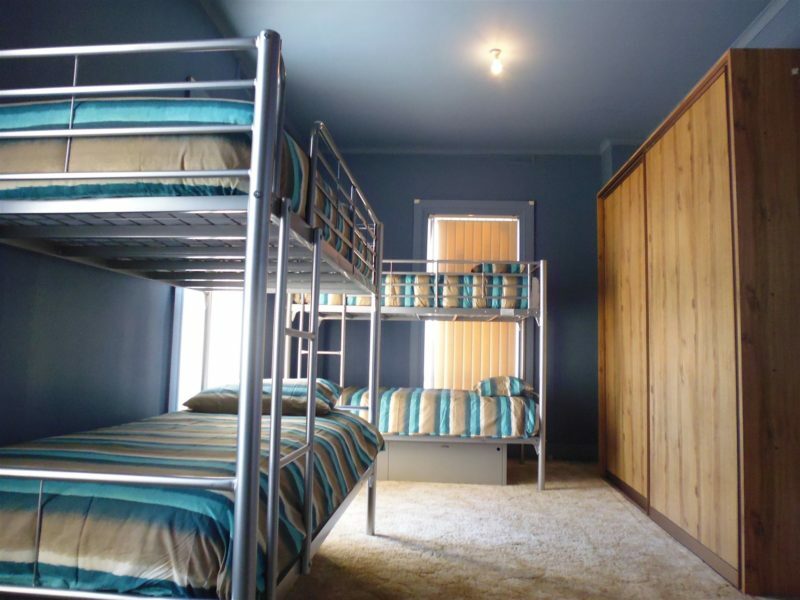 There are two-share bunk rooms, four-share, six-share and private double rooms. 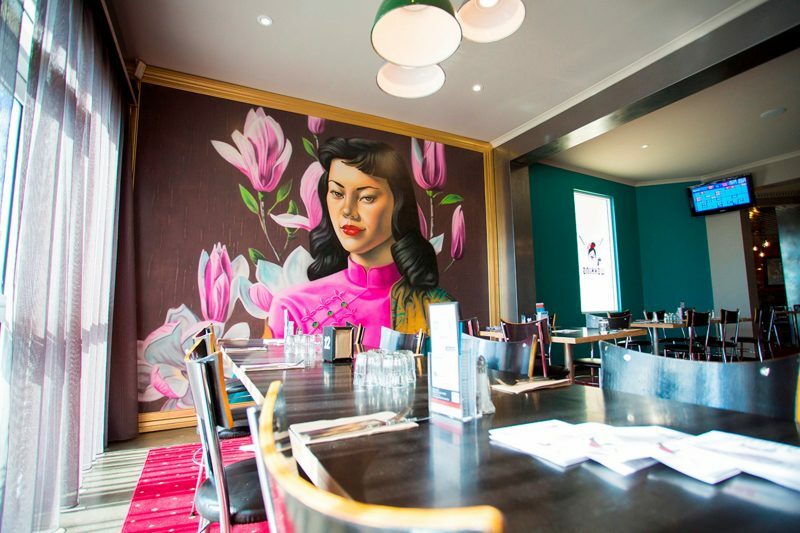 There’s a Bistro and bar on premise, and ample parking all your needs are easily fulfilled. The region offers picturesque rolling farmlands, superb coastal landscapes, and the hotel itself is right on the doorstep of such world-renowned attractions as Cradle Mountain, Lake Barrington and Leven Canyon. Nearby you can watch penguins coming ashore at dusk to feed their young. Start the day with a hearty breakfast and explore the beautiful beaches, lush green farmlands, forests and mountains near this quiet little seaside town. 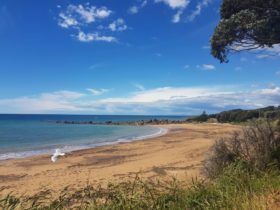 Penguin is located a 30-minute drive from Devonport and less than a 20-minute drive from Burnie. One bed in a two, four or six bed dormitory. 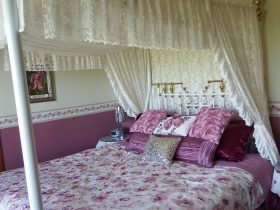 New comfy beds, sheet, pillowcase and doona supplied, heating in rooms and common areas. Full shared kitchen and lounge. Shared bathroom.